Planning and hosting a small intimate wedding has many advantages. Small weddings are often more personal because the bride and groom can do more of the wedding planning and decorating themselves. Intimate wedding venues or ceremonies at home require far fewer wedding decorations and wedding flowers. Simple decorations are often perfect. Looking to save money on your wedding? Are you on a tight wedding budget? Cutting guests from your list is the best way to do it. Smaller wedding budgets are easier to manage when you don’t have to rent a fancy reception hall with a full service dinner and bar service for hundreds of people. With fewer guests on your invite list, you can spend more quality time with each person at your wedding reception. You can plan the wedding of your dreams. Dispense with expectations and formalities. Smaller weddings are easier to design exactly the way you want them to be. Wedding entertainment can be paired down if you don’t have a huge hall to fill with music. You can get a wedding DJ with smaller speakers or simply play a mix from your phone hooked up to your home speakers or the restaurant sound system. Your wedding bar bill will be much smaller. This can allow you to get a much better quality wine. Or consider having a scotch bar so that your guests can sample some of the best scotches that they otherwise wouldn’t have the opportunity to sample. Cocktail style dining. A simple buffet is often ideal for a small group of guests. Larger weddings don’t work as well with a buffet style because the lines are too long or there aren’t enough servers to help with serving the food. The wedding photo shoot can also reflect your style by being done in the street, a small nearby park or even right outside the door. The more connected the location to the wedding, the more meaningful the wedding photos will be. To learn more or schedule an appointment to discuss your plans get in touch. 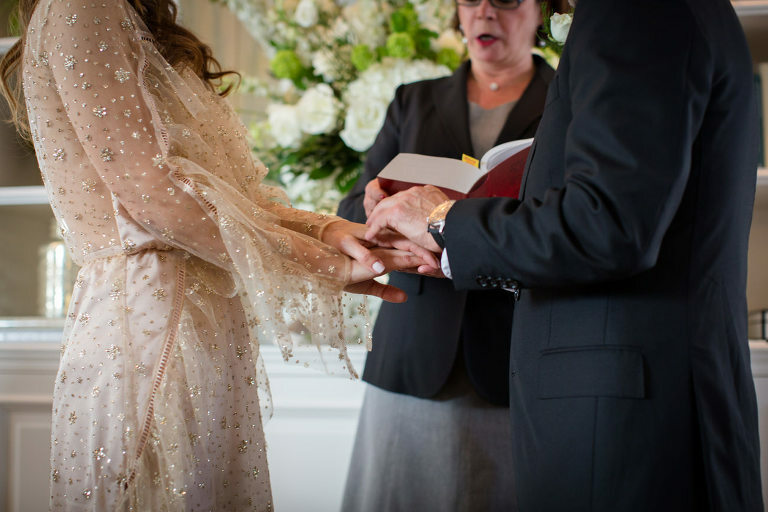 Larger weddings often require the assistance of a wedding planner to help co-ordinate all the moving parts. By planning a simple wedding and party at home or at a restaurant, you can dispense of this extra help because the planning will be much easier. All weddings, large and small, are equally important. 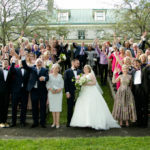 Whatever the size of your guest list, you’ll want a professional wedding photographer to record the big day, so you can relive and share every detail with family and friends for years to come. As a photographer who’s photographed dozens of intimate weddings, I know that the guests invited to these intimate gatherings are the closest and most important people in a couple’s lives. I take extra care to photograph every guest, every detail and every candid moment. These wedding pictures are as important to the bride and groom as the wedding ceremony and the bridal portraits. My approach to photographing small weddings is with a carefree and easy spontaneity. Small weddings are almost always less formal and the photos should reflect that. But the photos should tell the story of the day and capture the essence and spirit of the event. 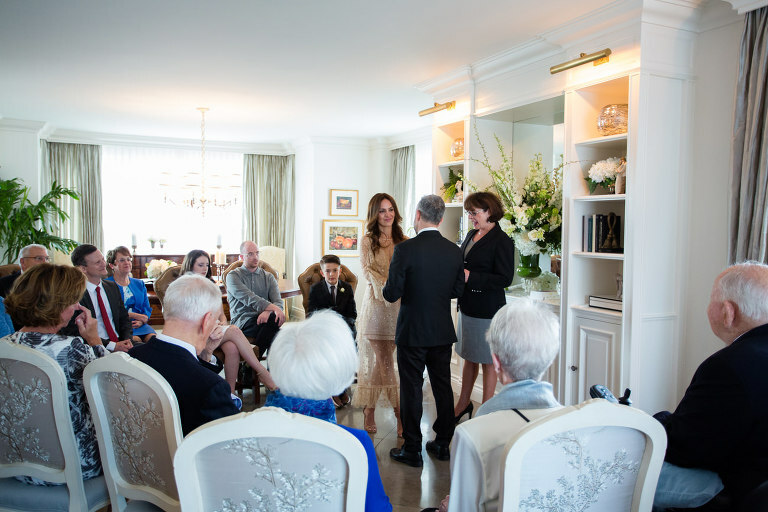 Are you planning a small intimate family or backyard wedding in or around Montreal? I invite you to get in touch to discuss your plans. I would be pleased to provide you with a custom quote for wedding photography. A smaller wedding doesn’t mean that you can’t have beautiful and memorable photographs of the day. I recommend 3-5 hours of photography coverage for a small wedding. This easily covers the bride “getting ready”, the wedding ceremony, the bride and groom photoshoot, the family photos and the first hour of cocktails or dinner. Packages begin at $900.00. To book your photo session, more information or a custom quote, please contact me at kate@fellerath.com or by phone 514-586-5524. For intimate weddings, my approach is to keep the photography casual and more photojournalistic in style. With fewer guests, I can shoot the event alone (for larger weddings, I provide a second photographer), blend in with the guests and capture all the fun moments that will provide you with great memories. 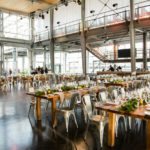 Looking for a fun, unique venue for your small wedding reception? 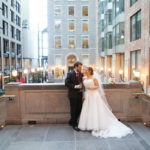 I recommend you look at some of the smaller venues listed on my “Best locations for a wedding in Montreal” blog post. The wedding reception for this couple was held at Nora Gray close to downtown Montreal. The ambiance is cozy, romantic and there is still room for mingling and a little dance floor. What style of wedding dress should you wear? Anything you like. Just because you’re planning a small wedding doesn’t mean that you can’t wear the wedding dress of your dreams. There are no rules to say that you can’t wear the most spectacular, breath-taking, high fashion wedding dress. Wear exactly what you want and it will be perfect in any setting. Same advice for the groom. If everyone is dressed casually for a home or backyard ceremony, that doesn’t mean that the groom can’t show up in a full tuxedo or a perfectly tailor-made three piece suit. A stylish suit always looks great in any wedding setting. Planning an intimate wedding means that you get to spend your wedding budget on what’s most important to you. Splurge where you want and save in areas that are less important. Have the wedding reflect your personality, no need to follow tradition or expectations. Create a wedding day schedule that allows you to spend as much time as possible with your guests. They’ve come to celebrate with you and you are the VIP guests of the day. Enjoy the love of all your close friends and family. It is a very special day. Don’t miss a minute of it. Do consider getting wedding photography. Even if only for a few hours. The photos provide the lasting memories of your very personal and magical day. I recommend that you consider having a “first look” before the ceremony and before the guests arrive. I know it’s a little unconventional. But here’s why I think it’s a good idea. You will have that special time with your spouse-to-be without the pressure of people waiting for you. You will look your best for the photos. After the bride and groom photos, you might also want to do your official family photos. With all the formal pictures done, this means that after the ceremony, you are free to mingle, sip champagne, and celebrate with all your guests without needing to dash off for the official wedding portraits. I hope you’ve found this information on Intimate weddings helpful. If you have any questions, please feel free to contact me at kate@fellerath.com. It would be my pleasure to create a custom wedding photography package to fit your wedding budget and wedding photo ideas. Kate is a Montreal-based wedding photographer with 10 years of experience. 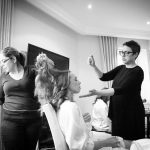 She has photographed hundreds of weddings and enjoys sharing her insight with clients and blog followers. Her use of natural light and technical ease allows her to create memorable, unique and beautiful wedding photos for all her clients.